The end of an era or the beginning of something new? Marvel seems to be on a roll with its cinematic universe. Oh sure, it was always a massively popular franchise that raked in billions, but 2018 is a special year for Marvel. Not only did they have the release of Black Panther, which has become the highest grossing superhero movie domestically of all time, but they're gearing up to release Avengers: Infinity War in a little less than a month. Infinity War is meant to be a massive celebration of the MCU and a culmination of everything that has come before it. To steal a phrase from DC, worlds will live, worlds will die, and nothing will ever be the same. But here's the funny thing; I'm a bit cautious about Infinity War. Not because of the fact that I don't think it can meet our lofty expectations. So far, everything shown in the trailer has led me to believe that it's going to be grand, impressive, and action-packed. My biggest fear is that it's a sign of the beginning of the end of the MCU and that the MCU is finally going to collapse under its own weight. I just want to get this off the bat right away so that we're all on the same page. I go to see every Marvel movie, usually release weekend, and with the exception of Black Panther and Civil War, I thought most of the MCU was pretty average. Nothing spectacular, but simple, fun, and entertaining. I'm not invested in the continuity of the series. I don't care about why Black Widow has a new haircut or the location of an orange rock. I know that may seem a bit weird to say, given how so much of the franchise is about the bigger picture, but hear me out. My first Marvel movie was The Avengers in 2012. I walked into the franchise witnessing a massive brawl between the Avengers and Loki and loved it. It was an action movie on a scale that I had never seen before at the time. Keep in mind, I was a teenager in high school that only saw movies that actually interested me like Scott Pilgrim vs. The World and Pixar movies. Hell, I only saw The Avengers because I was dating a girl that really wanted to see it! So I saw it with her, I loved it, and that compelled me to go find the rest of the MCU films. Thankfully it was only just five films, so catching up wasn't all that hard. But then as time went on and more MCU movies came out, they all lacked that spark that I saw back when I saw The Avengers. I'm drawn to saying that it's like the idea of your first Final Fantasy game will always be your favorite, but I can fully acknowledge that later Marvel movies have surpassed the original Avengers in terms of scale, action, and thematic weight. Guardians of the Galaxy, Civil War, and Black Panther are all better than the original Avengers... yet I don't care about them as much as the original MCU team-up. I still believe that that's the peak of the MCU. It was simple and didn't have a decade of storytelling already in place that it needed to address. Infinity War is building itself up as being the true peak of the MCU. 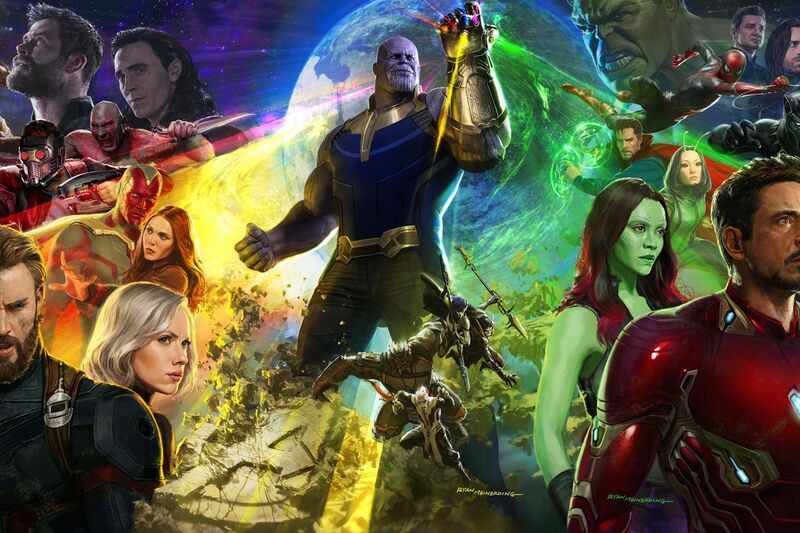 Every character is going to come together for a massive battle to save the world from Thanos. I decided to reread "The Infinity Gauntlet," the event comic whose premise is being adapted to Infinity War, to see how it holds up today and it does so spectacularly. People unfamiliar with the book think that it was a huge story where the Avengers saved the world from the Mad Titan, it's actually about a small handful of characters; Thanos, Nebula, Adam Warlock, the Silver Surfer, Doctor Strange, and Death. Oh sure, the Avengers showed up and tried to save the day, but even the book admitted that they were worthless in the grand scheme of things. The focus was never meant to be on them. As for Infinity War, the focus is not only on the large cast of characters in the MCU, but how a majority of these characters are going to be interacting with each other for the first time. This wouldn't be so much of an issue if it wasn't for each of these characters coming from completely different genres and stories. Black Panther was a political drama; Thor: Ragnarok was a fast and loose buddy comedy disguised as an action movie; Spider-Man: Homecoming was a high school comedy; Guardians of the Galaxy Vol. 2 was a somewhat serious look at family dynamics through a surrogate family of quip snapping heroes; Doctor Strange focused on a man having a spiritual journey and accepting a world beyond his own; Civil War was a serious moral conflict that resulted in shattered friendships and alliances; and Age of Ultron was a massive battle against a villain that hurt each Avenger on a personal level. Individually, these are great ideas for movies. The problem comes from when you try and mash all of these different genres into one movie. In theory, it makes sense. These are superheroes and superhero team-ups happen all of the time, so why not just throw them all together and see what happens? The issue comes when you try and mesh together multiple groups of heroes to tell a story that they shouldn't be a part of. One just needs to look at recent event comics like Civil War II and Infinite Crisis where established characters are acting out of character to suit the needs of the story. That's what happens when you have different writers writing the same characters in different movies but they're in the same universe. Inconsistencies abound and you're left scratching your head as to why the hell Spider-Man, who spent his solo movie trying to go out with his high school crush, is the first person to stand up to Thanos and his invasion and isn't batting an eye at the carnage around him. In order for Infinity War to juggle all of its character's properly and pull off this gambit, if the movie is going to be two and a half hours, that means that each character is going to need at least one dedicated scene for each character to be a hero or say something meaningful. Sorry to say, I don't see that happening anytime soon. Why? Because Age of Ultron, that's why. When The Avengers came out back in 2012, there were barely any overarching plot points to address. You had the Tesseract as the main Macguffin, but the five movies beforehand were mostly focused on establishing Iron Man, Hulk, Captain America, and Thor. The plot was incredibly basic because of that, but that's all the audiences expected. When I saw The Avengers, all I wanted to see was the Avengers form, fight a big bad guy, and save the day. Simple, clean, done. When Age of Ultron came out three years later, there were more points that needed to be addressed. In two and a half hours, Age of Ultron needed to establish its own plot, mention the Infinity Stones, deal with the fallout from The Winter Soldier, Thor the Dark World, and Iron Man 3, then set up several of the Phase 3 movies and have time to further explore each character on a personal note. There was simply too much for Age of Ultron to do and it buckled under pressure. It wasn't bad, but it was easily the most disappointing movie in the MCU. Infinity War has even more ambition and continuity to deal with since it serves as the beginning of the finale to a series of 19 movies and a slew of TV shows. And even then, it also needs to establish what happens when Chris Evans, Robert Downey Jr., and the other big MCU actors leave the franchise, which is going to happen whether you like it or not. So not only will it have to be the Omega, but also the Alpha cause it needs to set up the MCU for what's next, which is probably going to be the FOX merger and getting the Fantastic Four and X-Men back. But there's the dirty word that underlines the MCU's biggest problem going forward; continuity. Comic book companies have tried to fight against decades of continuity to make comic books more accessible to readers. DC tries to do line-wide reboots to show that their universe is starting over fresh. Marvel just puts out new comics with #1's on them to fool readers into thinking that it's a fresh start. 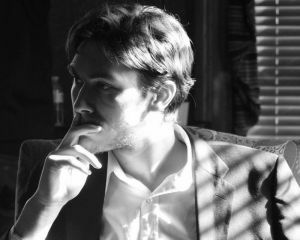 Continuity is a byproduct of serialized stories. Of course when you're trying to tell one singular story, it's going to be a bit difficult to keep everyone on the same page the longer your story goes on. 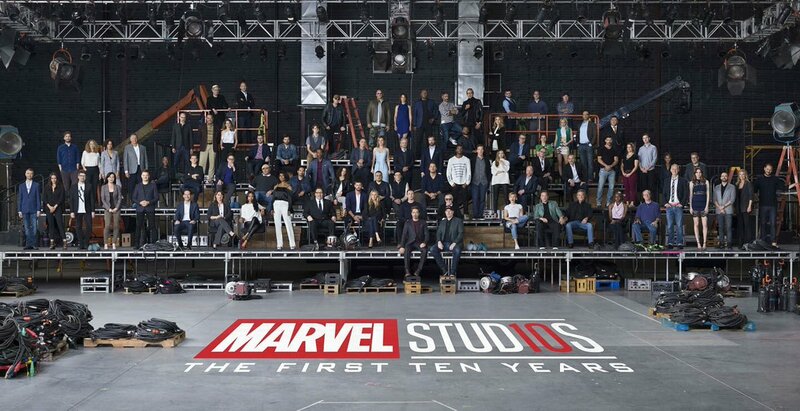 The MCU is going to be 10 years old. There are teenagers that have grown up with the MCU since they were in Kindergarten. As of right now, it's easy to gain access to 19 movies on DVD, Blu-Ray, or online. But what about in another 10 years? How many movies will there be then? Will there be 30 movies that viewers need to be aware of to understand why Adam Warlock is fighting with the Avengers against Galactus? No matter how you look at it, Infinity War is going to be the end of an era of movies. It's going to show that the MCU was a successful experiment in telling one colossal, interconnected story that defies genres. I just hope that when it finally releases that it's able to juggle every character and plotline properly and not fall victim to all of its continuity. If it's successful, then the MCU can survive for just a bit longer. 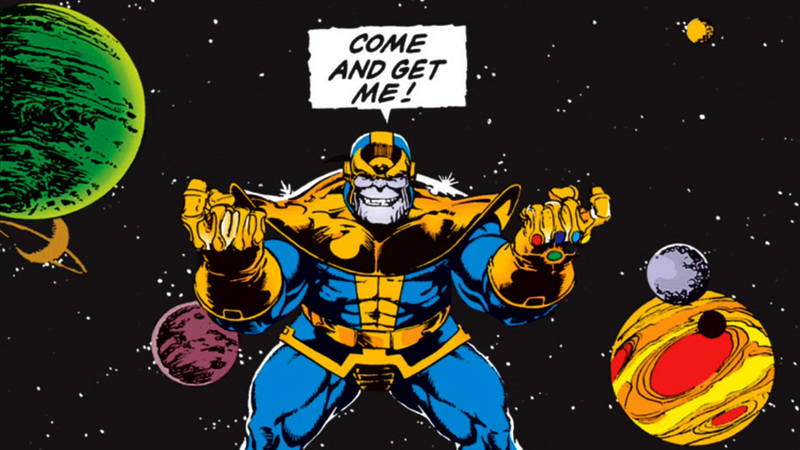 If not, then I'm going to be legitimately worried for what happens after Thanos bites the big one.